IT today is increasingly being driven by end-users. This phenomenon, known as the “consumerization of IT,” is a result of how pervasive technology has become in daily life. Years ago, IT was the primarily the realm of technologists and engineers. Most people, whether in business settings or at home, did not have the technical know-how to source their own applications, write code for a web page or even set up their own workstation. Today’s technologies are more user-friendly than ever and they’ve become ubiquitous. The introduction of smartphones and tablets has ushered in the era of “BYO” with consumers now bringing the technologies they like and are most comfortable working with into the workplace, all with the expectation that IT will support them. The days where IT decided what technologies would be used within an organization are no more. At the same time, IT has lost another level of influence due to Cloud computing and Big Data. Again, the “consumers” of IT within the enterprise—line of business managers, developers, marketers, etc.—are driving these changes. Just as users want the agility offered by the devices they know and love, they also want to be able to buy and use the technologies they need to do their job and do it on the fly rather than wait for an IT department to go through a months’ (or years’) long process of requisitions and approvals. And it’s not just developers or IT staff that are sourcing their own applications—marketers are buying applications with their credit cards, and desktop users are sharing documents and spreadsheets via web-based office solutions. When you can easily buy the processing capacity you need when you need it with your credit card or use applications online for free, why wait for approval? The convergence of this next era of computing – we call it Open Platform 3.0™ – is creating a Balkanization of the traditional IT department. IT is no longer the control center for technology resources. As we’ve been witnessing over the past few years and as industry pundits have been prognosticating, IT is changing to become more of a service-based command central than a control center from which IT decisions are made. These changes are happening within enterprises everywhere. The tides of change being brought about by Open Platform 3.0 cannot be held back. As I mentioned in my recent blog on Future Shock and the need for agile organizations, adaptation will be key for companies’ survival as constant change and immediacy become the “new normal” for how they operate. These changes will, in fact, be positive for most organizations. As technologies converge and users drive the breakdown of traditional departmental silos and stovepipes, organizations will become more interoperable. More than ever, new computing models are driving the industry toward The Open Group’s vision of Boundaryless Information Flow™ within organizations. But the changes resulting from consumer-led IT are not just the problem of the IT department. They are on track to usher in a whole host of organizational changes that all executives must not only be aware of, but must also prepare and plan for. One of the core of issues around consumerized IT that must be considered is the control of resources. Resource planning in terms of enabling business processes through technology must now be the concern of every person within the C-Suite from the CEO to the CIO and even the CMO. Take, for example, the financial controls that must be considered in a BYO world. This issue, in particular, hits two very distinct centers of operations most closely—the offices of both the CIO and the CFO. In the traditional IT paradigm, technology has been a cost center for most businesses with CFOs usually having the final say in what technologies can be bought and used based on budget. There have been very specific controls placed on purchases, each leaving an audit trail that the finance department could easily track and handle. With the Open Platform 3.0 paradigm, those controls go straight out the window. When someone in marketing buys and uses an application on their own without the CIO approving its use or the CFO having an paper trail for the purchase, accounting and financial or technology auditing can become a potential corporate nightmare. Alternatively, when users share information over the Web using online documents, the CIO, CTO or CSO may have no idea what information is going in and out of the organization or how secure it is. But sharing information through web-based documents—or a CRM system—might be the best way for the CMO to work with vendors or customers or keep track of them. The CMO may also need to begin tracking IT purchases within their own department. The audit trail that must be considered in this new computing era can extend in many directions. IT may need an accounting of technical and personal assets. Legal may need information for e-Discovery purposes—how does one account for information stored on tablets or smartphones brought from home or work-related emails from sent from personal accounts? The CSO may require risk assessments to be performed on all devices or may need to determine how far an organization’s “perimeter” extends for security purposes. The trail is potentially as large as the organization itself and its entire extended network of employees, vendors, customers, etc. What can organizations do to help mitigate the potential chaos of a consumer-led IT revolution? Adapt. Be flexible and nimble. Plan ahead. Strategize. Start talking about what these changes will mean for your organization—and do it sooner rather than later. Work together. Help create standards that can help organizations maintain flexible but open parameters (and perimeters) for sourcing and sharing resources. Executive teams, in particular, will need to know more about the functions of other departments than ever before. IT departments—including CTOs and EAs—will need to know more about other business functions—such as finance—if they are to become IT service centers. CFOs will need to know more about technology, security, marketing and strategic planning. CMOs and CIOs will need to understand regulatory guidelines not only around securing information but around risk and data privacy. Putting enterprise and business architectures and industry standards in place can go a long way toward helping to create structures that maintain a healthy balance between providing the flexibility needed for Open Platform 3.0 and BYO while allowing enough organizational control to prevent chaos. With open architectures and standards, organizations will better be able to decide where controls are needed and when and how information should be shared among departments. Interoperability and Boundaryless Information Flow—where and when they’re needed—will be key components of these architectures. The convergence being brought about Open Platform 3.0 is not just about technology. It’s about the convergence of many things—IT, people, operations, processes, information. It will require significant cultural changes for most organizations and within different departments and organizational functions that are not used to sharing, processing and analyzing information beyond the silos that have been built up around them. In this new computing model, Enterprise Architectures, interoperability and standards can and must play a central role in guiding the C-Suite through this time of rapid change so that users have the tools they need to be able to innovate, executives have the information they need to steer the proverbial ship and organizations don’t get left behind. 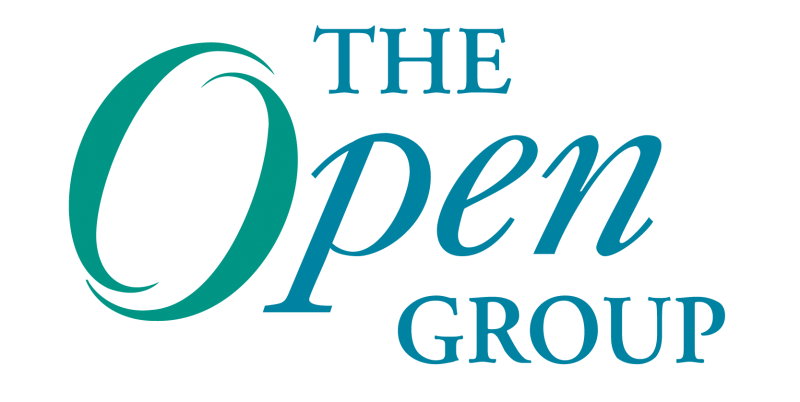 Allen Brown is the President and CEO of The Open Group. For more than ten years, he has been responsible for driving the organization’s strategic plan and day-to-day operations; he was also instrumental in the creation of the Association of Enterprise Architects (AEA). Allen is based in the U.K.